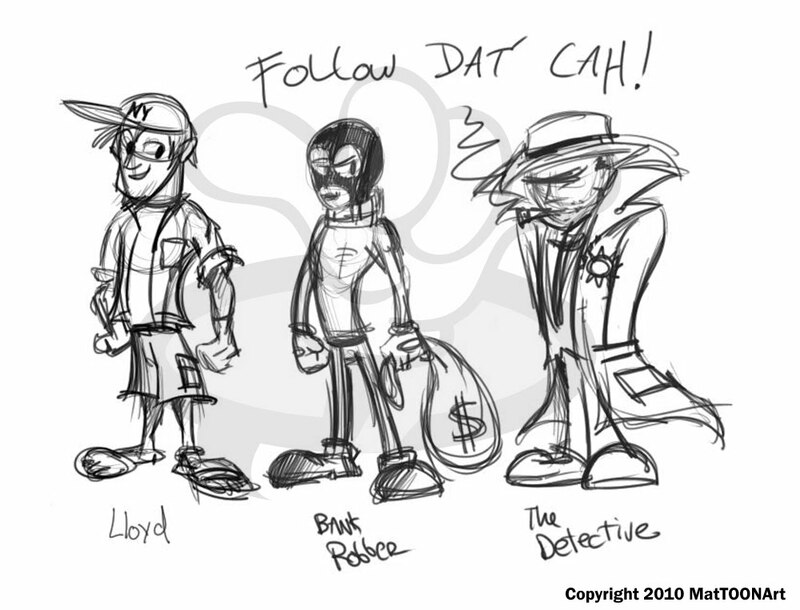 Follow That Car – Matt Downs Draws! Follow That Car is the story of Lloyd, a simple-minded taxi driver in the big city. He’s grown tired of driving the same dull people to their same dull places of work and begins to have second thoughts of his career choice……until one day. Lloyd is given the chance to show what he’s really capable of. I had always thought that a taxi driver’s goal in life was to one day be that car that was chosen to “Follow That Car!” in a chase. Lloyd, my protagonist, wishes for just that. He shows that he has what it takes to pursue a getaway car in the busy city. After all, as a taxi driver he knows the neighborhood inside out and upside down. Lloyd turns out to be the perfect man for the job as he showcases his superior driving abilities.